Helsinki, FINLAND – China on Thursday launched the Apstar-6C communications satellite, successfully inserting the 5-metric-ton spacecraft into a geostationary-transfer orbit. The Long March 3B launch vehicle lifted off from Launch Complex 2 at the Xichang Satellite Launch Center in southwest China at 12:06 p.m. Eastern, in accordance with airspace closure notices published days in advance. The China Aerospace Science and Technology Corporation (CASC) announced success of the launch just over an hour after liftoff. The launch was China’s thirteenth of the year overall, and the fifth from Xichang, which is expected to see around 17 launches in 2018, mostly of Beidou navigation and positioning satellites. 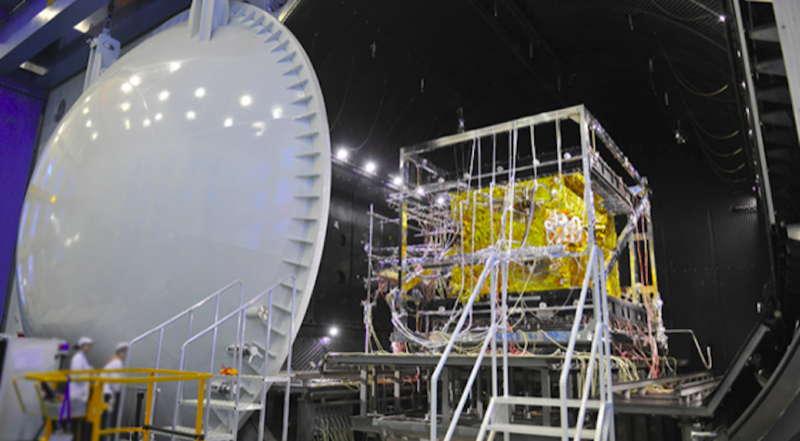 Apstar-6C joins a fleet of four fully operational satellites belonging to APT Satellite of Hong Kong, operator of the Apstar constellation, which provide coverage of the Asia-Pacific region and beyond. The Apstar-6C satellite is based on a DFH-4 platform and was developed by China Academy of Space Technology (CAST), a satellite and spacecraft maker under CASC, the main contractor for China’s space program. It is equipped with 45 transponders in C, Ku, and Ka bands, with a designed service life of 15 years. The satellite will replace the in-orbit Apstar-6 satellite, providing high-power transponder services for video distribution, broadband internet access, and cellular backhaul, according to APT Satellite. APT signed an in-orbit-delivery agreement with China Great Wall Industry Corp. (CGWIC), a CASC company, on Oct. 17, 2015 — the same day that China successfully launched the DFH-4-based Apstar-9 communications satellite. The contracting party was required to submit the contract for review to an independent committee, in accordance with Hong Kong Stock Exchange rules, as CASC, which owns CAST and CGWIC, has a majority equity stake in APT. CASC is planning a potential 36 launches in 2018, and emerging non-government launch providers could take China’s number of orbital launches to over 40 for the year. The next Chinese missions lined up are the Gaofen-5 high-resolution Earth observation satellite, due to launch on May 8 from Taiyuan in north China, and the ‘“Queqiao” (“Magpie bridge”) communications relay satellite for the Chang’e-4 lunar far side mission. The relay satellite, to orbit around the second Earth-Moon Lagrange point some 80,000 kilometers beyond the Moon, will facilitate communications with a lunar lander and rover on the far side of the Moon, following their launch in late 2018.